People in Japan want to ‘return to nature’ and ‘spend more time outside’. At the same time, there’s a huge potential for high end outdoor living solutions despite the general number of new houses constructed decreasing. And that’s exactly why LIXIL and Renson are joining forces right now for the residential as well as for commercial market. Together, they can convince people of the advances of their high quality outdoor living solutions enabling them to spend more time outside. 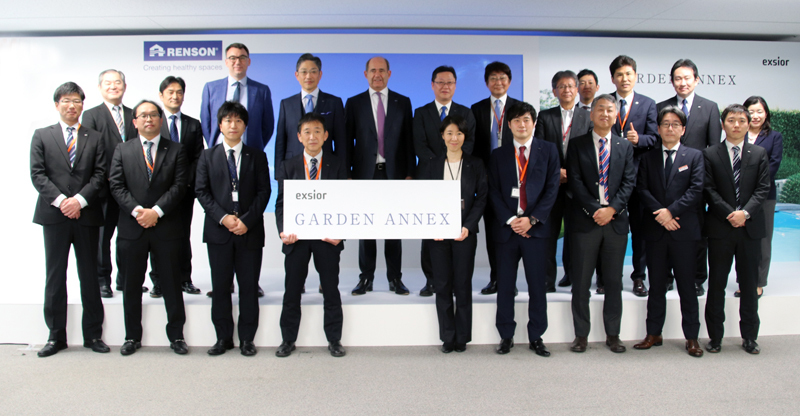 As a result of this business alliance, LIXIL will launch the Renson’s Camargue Skye as the ‘GARDEN ANNEX’ under its EXSIOR brand in Japan in the fall of 2019. “Creating and delivering high value for our customers, that’s what this partnership is all about”, Satoshi Yoshida (CEO LIXIL Housing Technology Japan) says. “As the number of new houses constructed starts to decrease in Japan, we need to redefine our business domains for sustainable growth”, he explains. 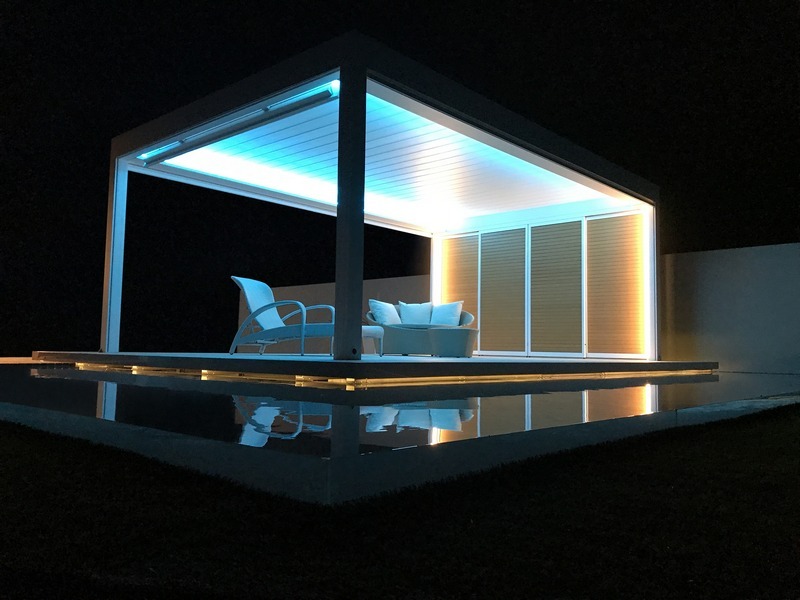 “LIXIL will create emotional values and start offering products for high-end customers.” And that’s how Renson came in the picture with their high end outdoor living concepts, as LIXIL wanted to link Japanese top-class know how with global top-class technology to achieve this goal. “Renson always had strong intentions for ‘co-development’ with other like-minded strong brands”, Paul Renson explains. “That’s why we work together with Velux, Barco, Schüco, LG and Somfy as well. We believe in ‘open innovation’ between those brands to be able to keep on innovating and expanding our joint international growth”. Takeshi Iohara (General Manager Exterior Business Division LIXIL Housing Technology Japan): “Outdoor living is a 30 year old story in Japan, which turned out to be a need for ‘special spaces connected to nature’ recently. 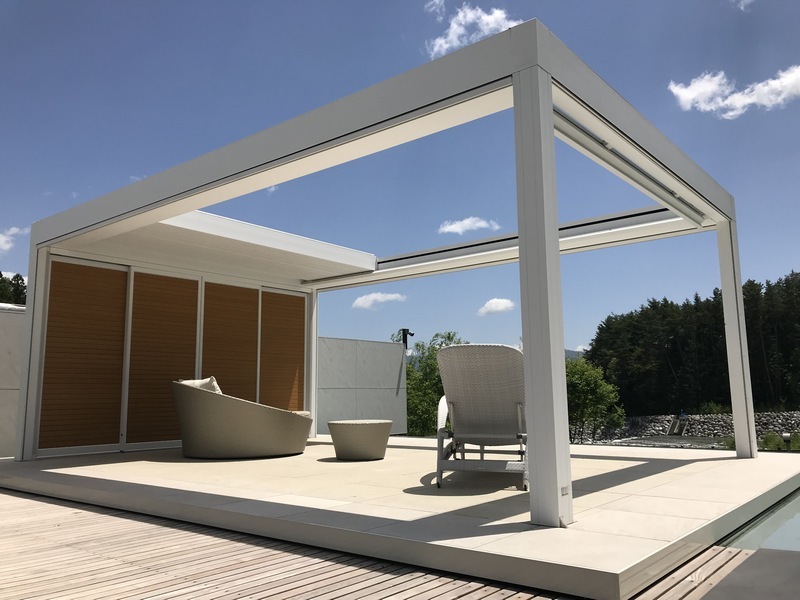 That’s why we’ll be releasing the Renson Camargue Skye pergola as the ‘GARDEN ANNEX’ in the fall of this year under our EXSIOR brand in Japan”. This pergola is equipped with a louvred roof. The rotating blades protect people from both the sun and rain. But you can also slide the blades open completely to fully enjoy the sunshine during the day or the starry sky at night. By using an app on a smartphone or tablet, one can rotate, open, or close the roof blades. Optionally, this pergola can be equipped with wind tight screens, speakers, heaters, and LED lighting to provide optimal comfort outdoors, at any time of the year. 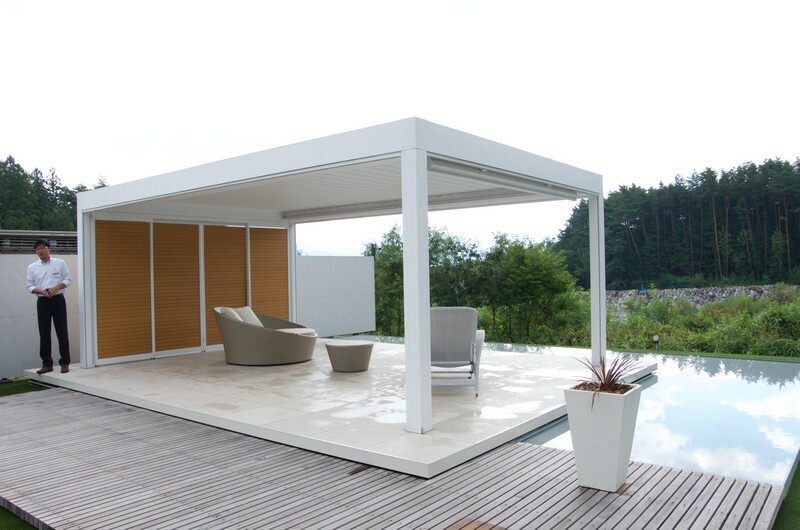 Pictures: Renson’s Camargue Skye pergola will be available in Japan as the ‘GARDEN ANNEX’ in the fall of this year. This aluminium terrace covering with louvred roof takes comfortable outdoor living to the highest level. The rotating and sliding aluminium roof blades turn a terrace into an extra outdoor room that can be used all year round. The rotating blades protect you from both the sun and the rain. But you can also slide the blades open completely to fully enjoy the sunshine during the day or the starry sky at night. Use an app on your smartphone or tablet to rotate, open, or close the roof blades. This type of terrace covering can be equipped with LED lighting, heater, speakers, sliding glass panels and windtight screens. Opening or closing the roof, operating the screens or LED lighting, … all of this can be done with an app on your smartphone.